We met the summer before senior year and are high school sweethearts. Fresh out of high school, neither of us had a glimpse of the vision of where we would be today. We married at the age of 22 on September 25th, 2015. We were surrounded by so much positive energy and love from our close friends and family and this made our wedding day absolutely perfect. We soon realized how much we regretted not having our own wedding filmed. We realized how precious these moments in our lives are, and how they make up our story and who we are. 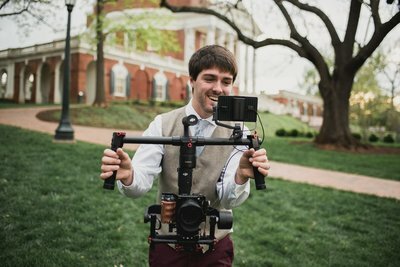 We wished so badly that that we could have captured our wedding day through video so we could go back and re-live it fully. 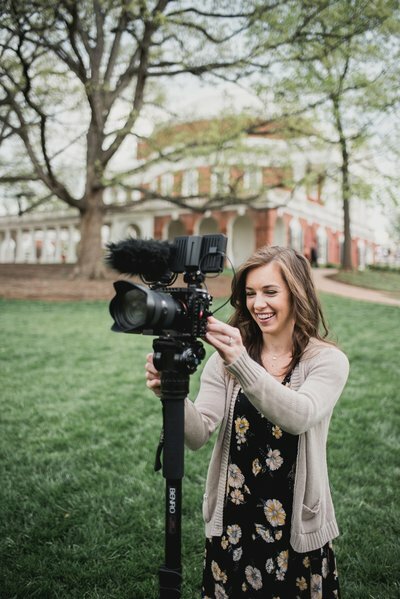 That alone, was the idea that first brought about us starting Gardenia Wedding Cinema; and with God's Grace, it honestly just kind of happened from there! Fast forward to today, and it warms our heats knowing that we get to capture these moments for other couples on their wedding day. 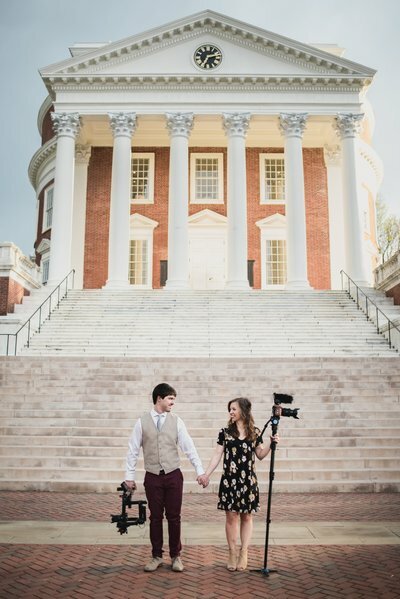 Virginia wedding videographer duo specializing in handcrafted wedding films. -Super into the gear we use. -Will probably embarrass himself trying to explain a pose, but make you laugh while doing so. -Won't turn down wedding cake if offered. -Laughs at Brett's tech obsession. -Loves capturing all the pretty wedding details. -Personal request- please have coffee at your reception :).